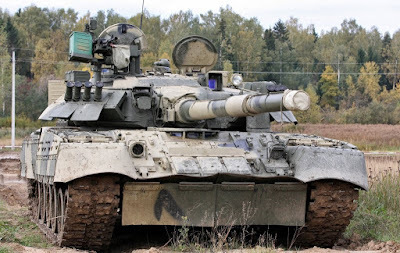 Cambodia wants to buy Russian T-80U main battle tank? This is a question published by the Russian press after the visit of the Cambodian high-level military delegation to the Kantemirovskaya tank guard division. 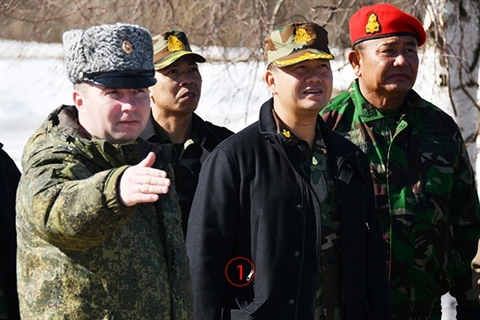 Russian media reported that on April 1, a high-level military mission of the Royal Cambodian Army led by Lieutenant General Hunmanet visited the 4th Kantemirovskaya tank division. Here, Cambodian military officials were introduced by Russia to the tactical features of the T-80U main battle tank as well as the division’s training of motorized infantry soldiers with combat vehicles BMP-2 infantry and armored vehicles carrying BTR-82A troops. General Hun Manetan appreciated the professionalism of the training of Russian Army units and thanked the warm reception of tank soldiers of the unit. According to the Russian press, this is a clear sign that this Southeast Asian nation is showing a particular interest in Russia’s T-80U tank and may advance to sign a similar procurement contract, not far away. The fact that the Royal Cambodian Army desires to own a new generation main battle tank has been mentioned many times in the past, the main reason is that Phnom Penh currently only has MBT in the service, while other countries neighboring families are undertaking rapid modernization. Phnom Penh seems to have been more interested in the T-90 tank similar to Vietnam, but after balancing the financial resources, it seems they are inclined to buy old tanks to reduce the burden on the budget. Historia previa Boeing publica imágenes conceptuales de su nuevo avión de combate Advanced Eagle.